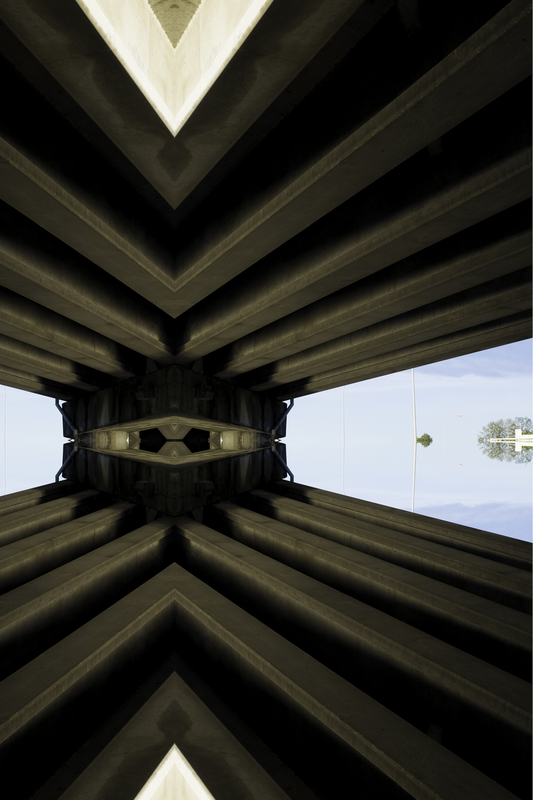 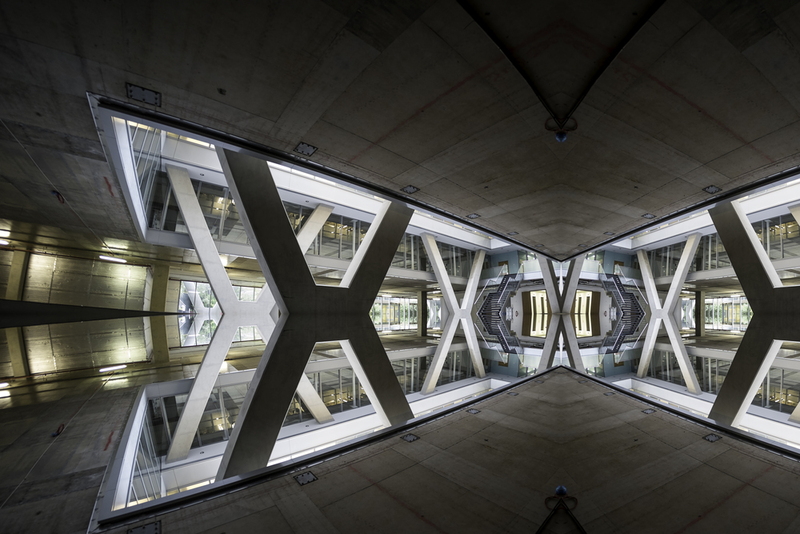 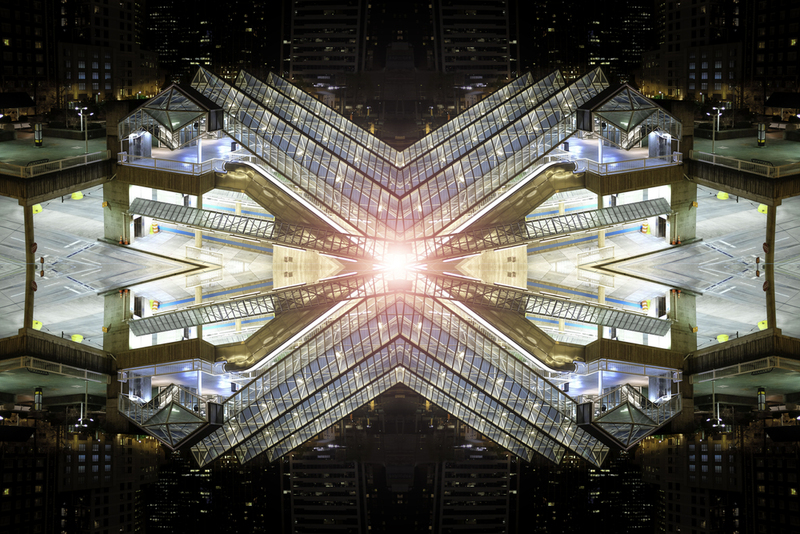 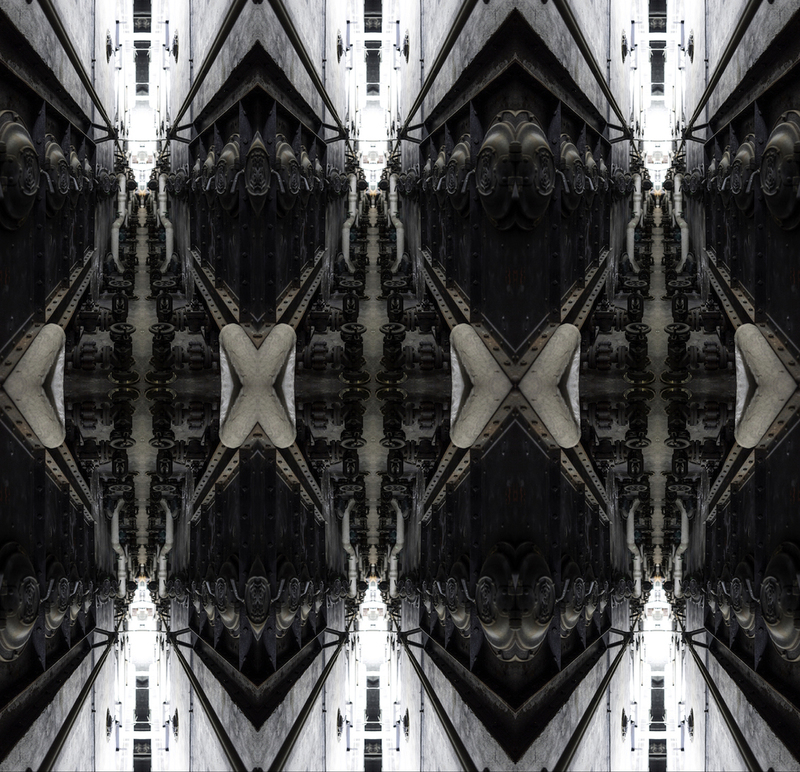 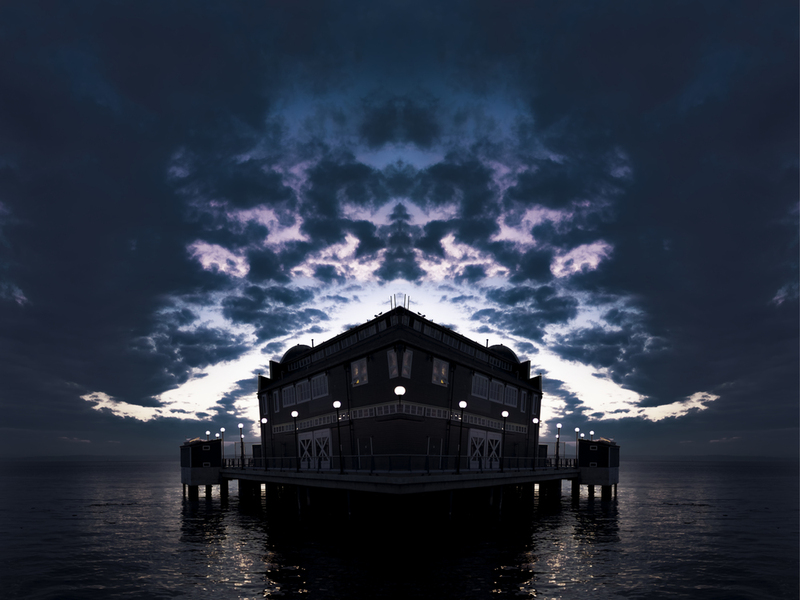 The Symmetric City project was an effort to capture the beauty of geometry and symmetry of cities and urban spaces. 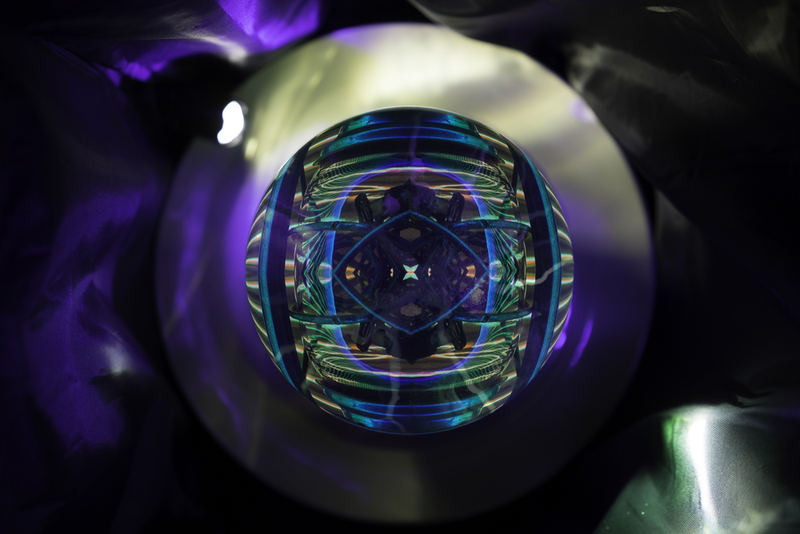 A camera with mirrors and final digital manipulation was used to end up with the final result. 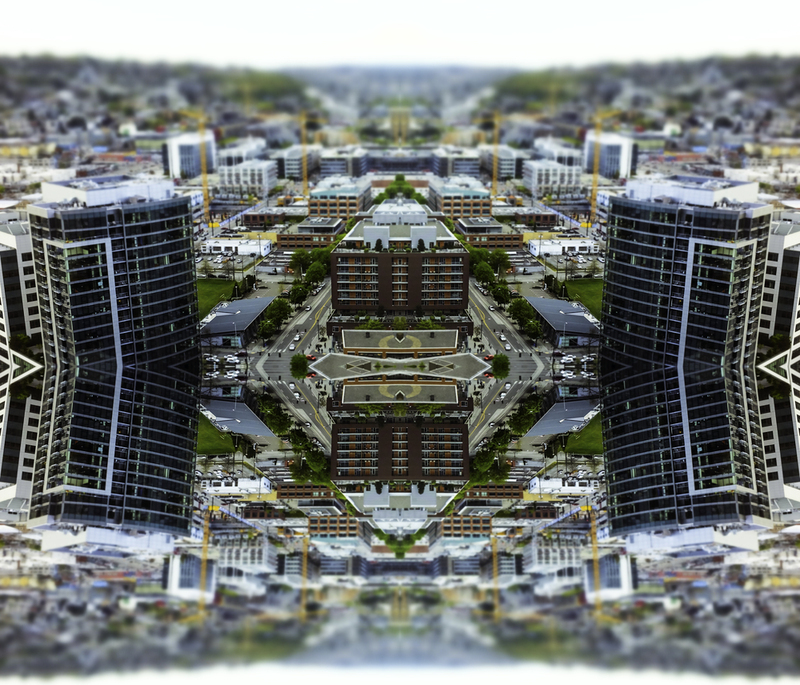 Some of the beauty was created by the camera overloading and producing corrupt images.